We are raising money on behalf of Naún, a community leader, and his family to escape from irreparable violence and begin a new life as an internally displaced migrant in his own country. On the evening of August 22nd, four boys from La Tirana, a rural community in the western area of ​​the Jiquilisco Bay, were going to the beach to collect turtle eggs and were ambushed by an armed masked group who, without saying a word, opened fire with M16 rifles and 9mm pistols against the young people. The attack resulted in the death of one of the youth and bullet riddled bodies of two others, who managed to flee into the forest and were later transferred to a public hospital. They were discharged two days later as the community was mourning and burying the young boy killed. Although the act was reported to the appropriate institutions, to date it is unknown whether any type of investigation has actually been initiated. 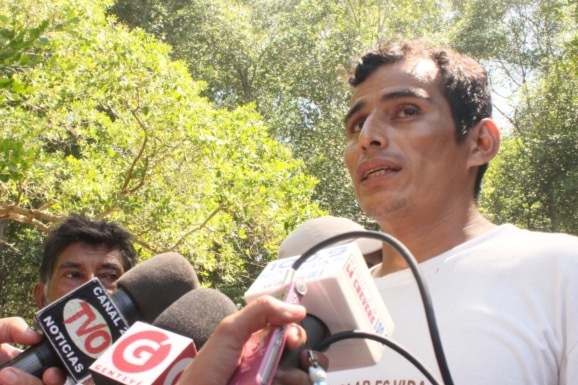 Previously, this past June, Naún Diaz, President of the community and environmental activist, was intercepted in an area of ​​the mangrove swamp known as La Borda, by a group armed with assault rifles who beat him, causing minor injuries with a machete, and threatened him with death. This act was not reported for fear that the responsible group might be linked to local public security institutions, resulting in impunity for the perpetrators. There was also the question of why it happened, though Naún does not identify any possible cause other than his environmental activism. As you can imagine, the atmosphere in the community is one of impotence and total uncertainty, so Nuan and his family have made the painful decision to emigrate from the community. Voices on the Border, along with another NGO, are working on a coordinated effort to guarantee safe relocation for Naún, his immediate family, and other close relatives to an undisclosed area within the country. We are calling on all our friends to help these families. Any donation, large or small, is greatly appreciated and will go directly to Naún and his family as they seek security and peace in El Salvador. The Jiquilisco Bay houses the main ecological wealth of El Salvador. It contains mangrove forests that provide refuge and sustenance for countless species of birds, mammals, reptiles, and marine species.In addition, this ecosystem is the means of life for a large number of campesinos and indigenous communities, including La Tirana, This isolated village is characterized as being literally surrounded by one of the most exuberant mangrove forests of the entire Central American Pacific coast, so thick that upon entering the mangrove it gives the impression that night is falling. In 2004, during a conference called by the National Association of Private Enterprise (ANEP), an Argentinian consultant suggested converting the Bay of Jiquilisco into the “Cancun of Central American”, saying that the first steps would be to build a 30-kilometer road along the San Juan Peninsula and acquire property. The road was completed in 2011 and land speculators have been buying along the coast for the past seven years. At the same time, private corporations have quietly developed plans to build hotels with golf courses, shopping centers, marine complexes and other infrastructure. 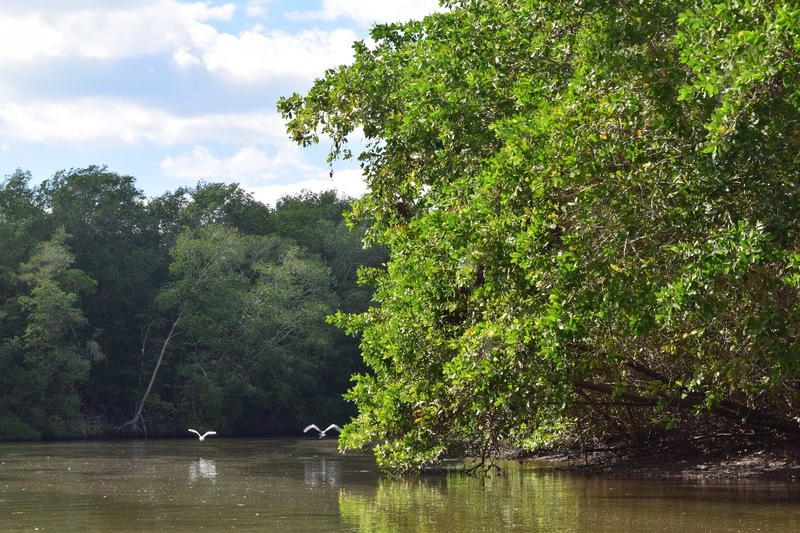 In 2010, La Tirana led a group of 8 surrounding communities to form the Association of Mangrove Communities for the Defense of the Territory (ACOMADET). The constitutional declaration of this community alliance states: "We demand respect for our right to life and a healthy environment. We will fight so that the forests remain an inexhaustible source of life; to have clean and sufficient water supplies; to produce our own food and feed ourselves properly. We want health and education for our children and above all we want to remain free." From that moment, numerous actions of mobilization and denunciation to stop the ambitions of investors in the Bay of Jiquilisco have been carried out. For example, in November 2015, La Tirana residents observed apparent foreigners people taking soil samples and making measurements in the lands surrounding the forest. This of course aroused suspicion and when they inquired further it turned out that it was for a large-scale sugarcane project to cultivate 300 hectares (741 acres). Aware of the serious environmental impacts caused by the mass cultivation of sugarcane, the population quickly mobilized and was able to stop the advancement of tractors that had already started preparing the soil. This action also resulted in the Minister of Agriculture and Livestock and the Minister of the Environment traveling to the site where they pledged greater assistance to the community in defending its resources. Through this calculated pressure, La Tirana managed to cancel a project that threatened its forest and water. As expected, these actions of resistance have brought negative consequences for the residents, and as in other struggles against transnational corporations around the world, threats and aggressions have been directed against the people who are the main voices of protest. In the case of La Tirana, Naún Díaz, who is a leader of ACOMADET,is regrettably suffering from abhorrent acts of violence towards him and his family. As with the physical aggressions against Naún, no one seems able to explain the reasons for this new act of violence. On the other hand, there is a widespread fear that the situation will become increasingly more precarious. Given the background of the community work carried out by Naún and considering that he has already suffered threats and physical harm, there is no doubt of the grave danger he is in. With support from institutions such as Voices on the Border and the Salvadoran Center for Appropriate Technologies (CESTA), the first Salvadoran environmental NGO, we are working to help Nuan and his family relocate. This GoFundMe campaign has been created to provide emergency economic assistance for a total of 16 people, to move their material belongings and allow them to survive for the next few months as they adapt to their new living conditions. Any donation, large or small, is greatly appreciated and will go directly to Naún and his family as they seek security and peace in El Salvador. First, we want to thank the donors and those sharing the campaign. We have already raised more than half of the necessary amount. Second, we want to share an update on the situation: "Four families, including Naun, have migrated from the community this week. Before, two families left, that is to say, a total of 6 families have left and it would not be strange that others have the intention of leaving. Using part of our emergency fund we have supported Naun, his parents and his brothers to transport their belongings, in total we made a donation of $375. This support has contributed to the fact that they are now in a safer place. I have had communication with Naun every day, but we are careful not to mention the name of the place where it is located, for security reasons, but I must tell you that it is a region of the Salvadoran coast, but quite far from his previous home . We are organizing a meeting next week, to be able to support them with some more money that allows them to buy food and cover other urgent expenses while they settle down in this new place. Finally I want to thank the messages of support received from you all and also the economic contribution through the gofundme campaign, which will be very important for these families once we reach our goal."